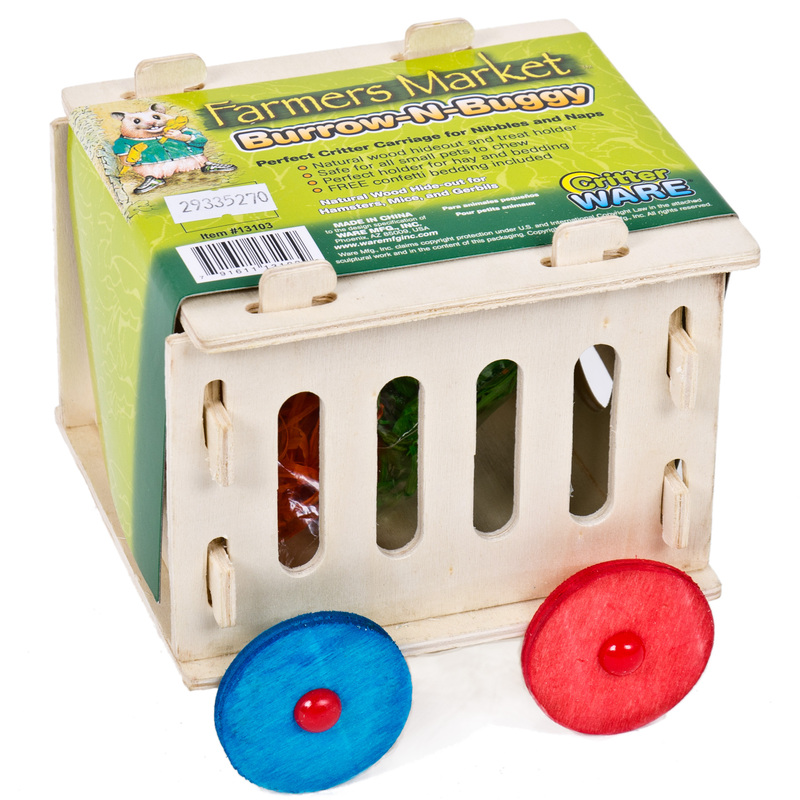 Critter Timbers Burrow-N-Buggy by Ware Mfg. is a natural wood holder for hay and bedding. The sustainable construction wood provides an appealing chew material that is safe for all small pets and promotes healthy teeth and activity.